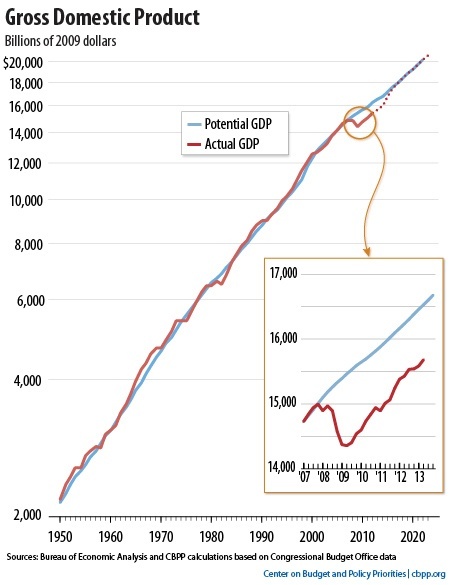 Source: http://www.bls.gov/news.release/pdf/empsit.pdf See also Current Employment Statistics–Highlights **Not seasonally adjusted. 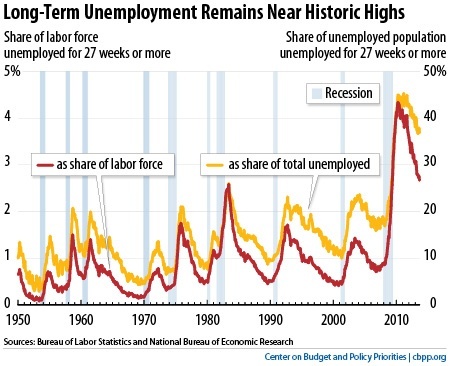 *See Uncommon Sense #4 for an explanation of the unemployment measures, and Is the Decline in the Labor Force Participation Rate During This Recession Permanent?. In addition, millions more were working full-time, year-round, yet earned less than the official poverty level for a family of four. 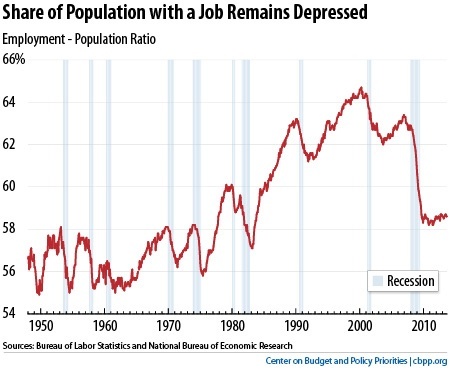 In 2012, the latest year available, that number was 18.0 million, 17.5 percent of full-time, full-year workers (estimated from Current Population Survey, Bur. of the Census, 9/2013). 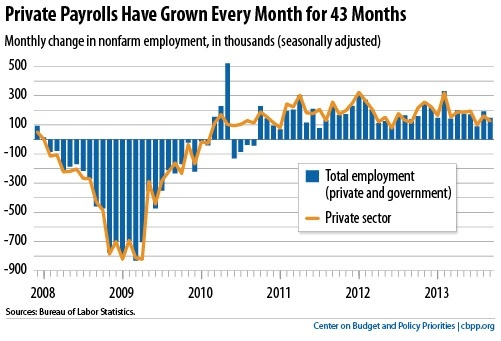 In July 2013, the latest month available, the number of job openings was 3.7 million, “little changed from June. The number of job openings was little changed in July in all industries and regions except professional and business services where the level dropped.” Job Openings and Labor Turnover Estimates, September 10, 2013.+ Thus there are now nearly 7 job-wanters for each available job.